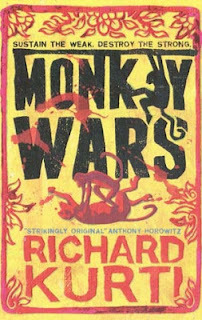 I've been absolutely blown away by Monkey Wars by Richard Kurti. Walker are publishing this book this month and I really do suggest that you go out and find it in your local bookstore or library. It's been the most surprising book that I've read all year. 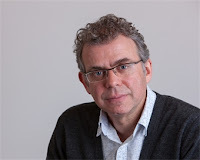 So I'm very excited and pleased to welcome Richard Kurti to the blog today to talk about that question that many people will be wondering about - why write about monkeys? I didn’t set out to write about monkeys. Why would anyone do such a crazy thing? What happened was that writing about monkeys became the best way to tell a story about people. My father was born in Vienna in the 1920s, but when he was 16 years old the Nazis marched in. Suddenly life became difficult and dangerous for his family, along with tens of thousands of others. After a struggle, my grandparents managed to get travel visas for my father and his 12 year old sister, but not for themselves. The family was split up, and my grandparents were killed in the Holocaust. Not surprisingly, I was brought up with a very strong sense of political morality. But… there was a nagging thought that troubled me: it’s very easy to have a sense of right and wrong when you are the victim of tyranny, but what if I’d happened to be born into a family that was part of the tyranny? If I’d been brought up by loving parents who were part of an oppressive regime, would I have had the insight to see what was really going on? Or the courage to make a stand? When I moved into the world of work, I quickly realised that in a less extreme form, this dilemma was everywhere. Your salary enables you to raise a family, but you only get a salary by being part of a hierarchy; if that hierarchy becomes corrupt, do you make a stand and sacrifice everything for principles? Should your family suffer for your ideals? Or do you keep your head down and just concentrate on being a good father and husband? A similar thing happens in the playground with all those hierarchies and cliques; belonging means the difference between acceptance and rejection, friendship and loneliness. What are you prepared to sacrifice in the name of justice? 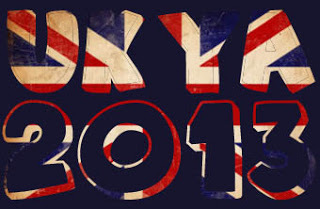 And what about when regimes fall? When the Iron Curtain came down, hundreds of thousands of people who had been vital parts of an oppressive regime suddenly turned into advocates of liberty. How is it possible to turn your principles on a dime and still look at yourself in the mirror? All these interesting, dramatic dilemmas were swirling around in my head, and I knew I wanted to explore them in a novel, but I didn’t want to write a story specifically about Nazi Germany or Soviet Russia. I didn’t want to write a historical novel, I wanted to tell a story about the philosophical problem. For years (decades!) the problem of how to do this sat at the back of my mind, until one day I heard about the true story of rival monkey troops that were at war with each other on the streets of Indian cities. It was a light bulb moment – if I went back up the evolutionary tree I would be able to write about all human societies by writing about none of them! Fired with enthusiasm, I started researching, digging into two very different worlds: I read books about monkeys and books about tyrannies; visited zoos one week and Auschwitz the next. The two areas seemed to fit together so well, I plunged into writing. It was only when I put my head up a couple of years later that it occurred to me that some readers might think this was a really odd way to tell a story. But by then it was too late, the deed was done. Thanks to the faith of Walker Books, now the readers can judge for themselves!